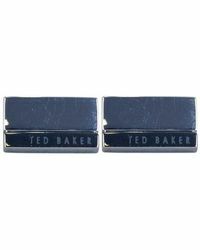 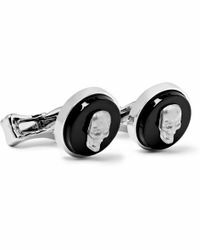 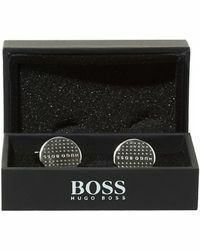 Smart shirts and sharp suits need a stylish set of cufflinks for the perfect finishing touch. 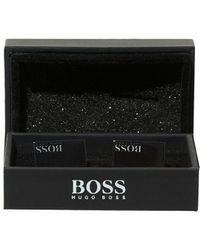 Go classic with Burberry frames and Hugo Boss knots or add a tough twist with Alexander McQueen signature skull motifs. 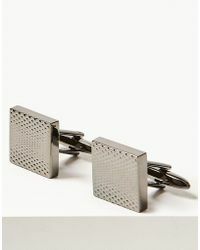 For a playful accent to your tailoring, look to Paul Smith's pencils, pin-ups and flies, or Ravi Ratan's witty pop culture references to Star Wars and DC Comics heroes. 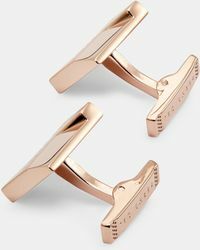 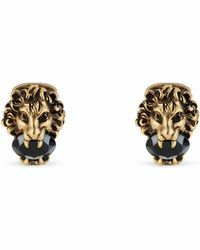 Showing 2,886 results for "Men's Cufflinks"